Disney Frozen "Sven Face" Beanie Just $8.99! Down From $22! You are here: Home / Great Deals / Disney Frozen “Sven Face” Beanie Just $8.99! Down From $22! Disney Frozen “Sven Face” Beanie Just $8.99! Down From $22! 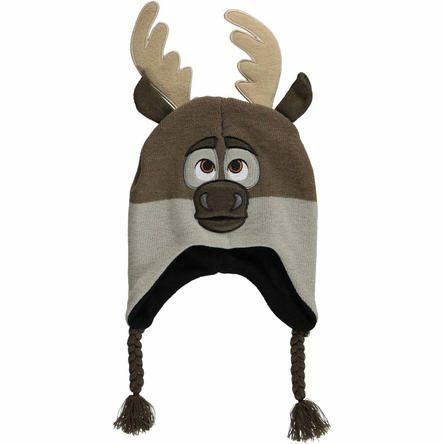 Sears has this Disney Frozen “Sven Face” Beanie on sale for $8.99 (Reg. $22)! Frozen fans will love the warm acrylic knit, fleece lining, and tasseled earflaps of this hat. It sports Sven face embroidery with 3D ears and antlers. 100% Acrylic Lining 100% Polyester Machine Wash Cold Imported.